WHY HAVE A SCARF AND A BAG IF YOU CAN HAVE BOTH AT THE SAME TIME? That’s where the Unisex Convertible zippered Pocket Scarf comes in! With it’s hidden pocket, you can easily store your cash, keys, and even a small wallet. The best part? They’re kept right around your neck for safe keeping at all times. 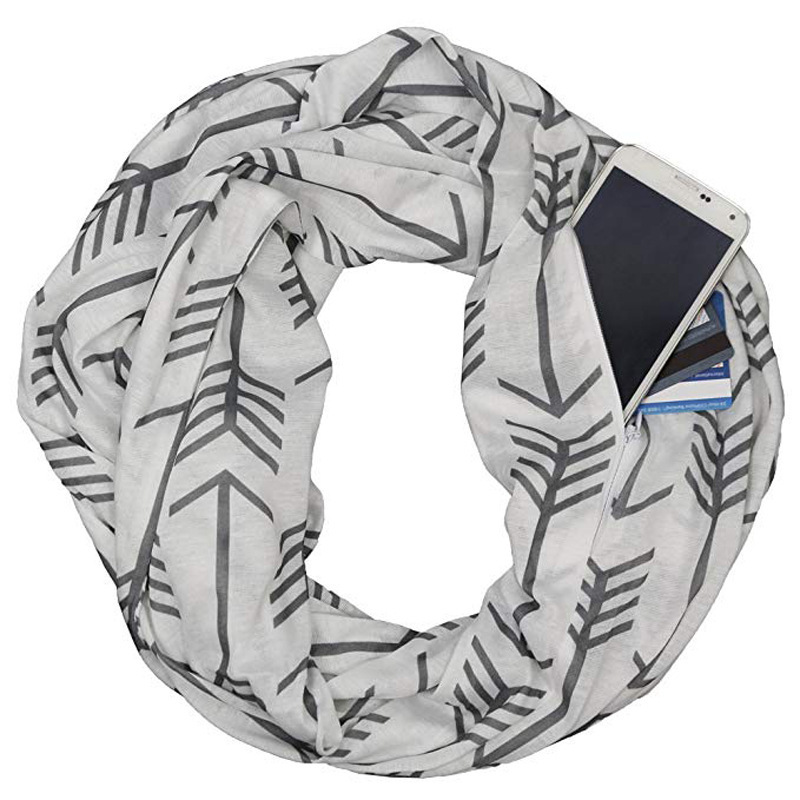 Carry your smart phone, passport, wallet, keys and other personal belongings inside the Unisex Convertible zippered Pocket Scarf's secure zippered pocket. Never worry about pickpockets again! Other than being a total lifesaver, this scarf is also a UNISEX fashion statement. 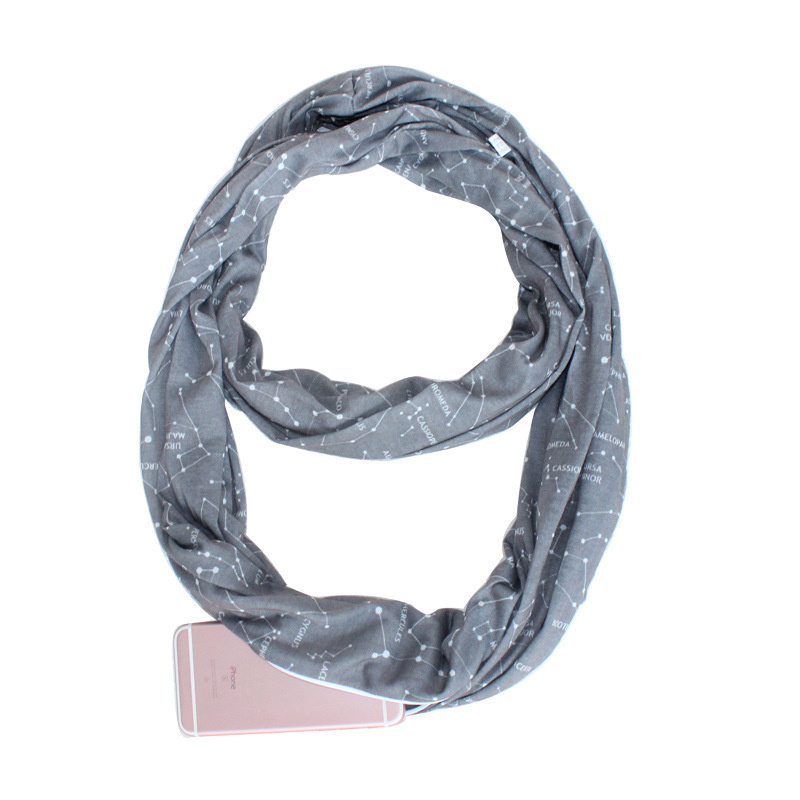 It comes in 12 DIFFERENT designs and can be worn as an infinity scarf, head cover, or cross-body wrap. That way you’ll have all your stuff within easy reach, but you’ll be able to keep your hands free AND look fashionable all at the same time. It's perfect for airports, oversea trips or everyday use. High quality material: Made from fabric that is lightweight but also strong enough to hold your essentials without buckling or forming a tear. It’s beautiful material which feels great around your neck and is insulated correctly to keep you warm. multi functional and can be worn in many different styles: Designed for convenience and can be worn as an infinity neck wrap, shoulder wrap or head wrap. Other than that, the scarf inverts into itself and folds into a small clutch purse. Available in 12 Different gorgeous designs. Built-in hidden zippered pocket: Don't worry about pickpockets, or leaving your stuff behind. Great for vacations and airports: Allows you to carry your passport with you at all times without having to carry a bag. Unisex and fits all ages.